Famous Egyptian singer Ali El-Haggar will be performing on Alexandria's Sayed Darwish Theatre on Valentine's Day. El-Haggar, who has been releasing new singles recently, will be accompanied by conductor Ahmed Amer introducing some of his songs, in addition to his unforgettable TV series themes. 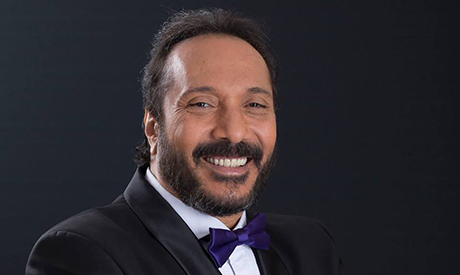 El-Haggar will perform after Sabrin El-Ngeily and Hasnaa, who will open the concert. The Cairo Opera House is marking the Valentine's Day period with many concerts, starting Tuesday with Medhat Saleh, followed by Riham Abdel-Hakim on Wednesday and Hani Shaker on Thursday.